Tottenham take the short journey across London to Craven Cottage to face Fulham on Sunday looking to bounce back from their discouraging home loss to Manchester United. Fulham are currently five points adrift of safety, only three ahead of bottom club Huddersfield Town, and are in desperate needs of victories and fast. Mauricio Pochettino will hope that the trip to Craven Cottage will provide Tottenham with the perfect opportunity to respond positively after a disappointing defeat to United last time out. Here's 90min's preview of the Premier League clash. Italian manager Claudio Ranieri is close to having an entirely fit squad to choose from ahead of Sunday's clash. The only guaranteed absentee for the Cottagers is English centre back Alfie Mawson, who is suffering from a knee injury. If Ranieri has no selection headaches for the game, then his opposite number Mauricio Pochettino has something of a migraine. Tottenham will be without a number of key players on Sunday, with a notable amount of these players being attackers. Talisman Harry Kane has been ruled out until March after picking up an ankle ligament injury in the dying embers of the United game, Son Heung-min has travelled to the United Arab Emirates to represent South Korea in the Asian Cup and Lucas Moura is struggling with a knee problems. The north London club are also short of options in central midfield, after Moussa Sissoko also picked up an injury during their last match. Eric Dier and Victor Wanyama are also still out, although the former is back in training. The departure of Mousa Dembele in a reported £11m deal to Guangzhou R&F has also come at a poor time for Pochettino, leaving him short on options in central midfield. Fulham Rico; Odoi, Le Marchand, Ream; Christie, Chambers, Seri, Bryan; Schurrle, Mitrovic, Sessegnon. Tottenham were victorious during the previous clash between the two sides in August. Lucas Moura opened the scoring for Spurs before Aleksandar Mitrovic bagged an equaliser for the visitors. Kieran Trippier then smashed in a free kick (reminiscent of the infamous free kick he took at the 2018 World Cup) to regain the lead for the Lilywhites before Kane made the points safe by adding a third. Fulham's last victory against Tottenham came in 2013 with a 1-0 success at White Hart Lane, with former Spurs man Dimitar Berbatov the match winner on that occasion. Fulham have to look back 11 years to find their last home Premier League win against Tottenham, in a game that is best remembered for an incredible error from Tottenham goalkeeper Heurelho Gomes, who forgot to use his hands when trying to stop a tame effort from former Spurs midfielder Simon Davies. Andy Johnson grabbed a second for the home side in the second half, meaning Fraizer Campbell's late goal for the travelling side was just a consolation. Fulham are currently enduring a dry January, losing every game they have played since the turn of the year. The signs were promising heading into 2019, with the team going unbeaten in their last three matches of 2018, however this mini revival has been extinguished rapidly with disappointing defeats, including an embarrassing home defeat at home to League Two club Oldham Athletic. Defeat against Burnley at Turf Moor will have hurt them last Saturday, especially as their hosts only had one shot on target during the game. Tottenham will be disappointed by their form of late, despite having scored 23 goals in their last seven games in all competitions. Spurs' batterings of Everton, Bournemouth and Cardiff and Tranmere in the FA Cup have been entangled with defeats at home to Wolves and Manchester United. Consistency will be key if Tottenham are to have a successful second half of the season, and perhaps even finally put to bed the niggling ache of not winning a trophy under Mauricio Pochettino, especially after they beat Chelsea 1-0 in the first leg of their Carabao Cup semi final. Fulham have got a great chance to get something from this game, as Tottenham may be rather toothless in attack without Kane and Son. 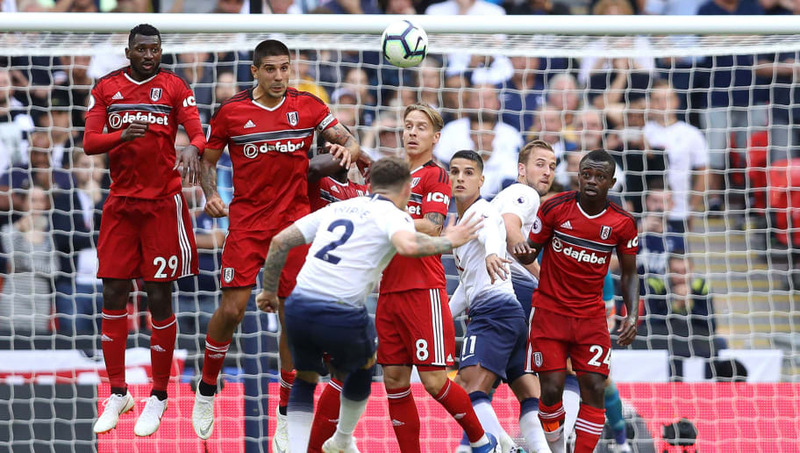 However, whether Fulham can contain Spurs' expansive and attacking style of football is doubtful, regardless of who is up front. Tottenham's attacking three of Erik Lamela, Dele Alli and Christian Eriksen will be decisive in outcome of the game.